Inspect Device Settings, change the IP Address of the Device or Enable/Disable DHCP. 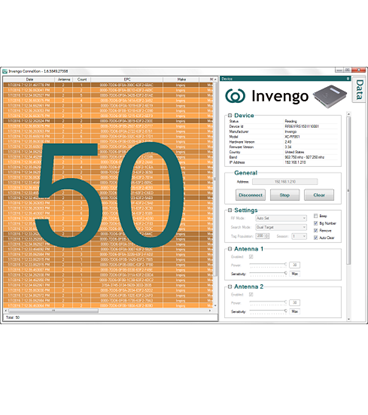 Invengo ConneXion is a Windows application that quickly and easily allows users to connect to an Invengo XC-RF850 or XC-RF861 reader and start sending live data via TCP Port, HTTP Post and/or a CSV file in minutes. Now Supports the Intellfi Smartspot! RFID inFusion™ is an enterprise caliber middleware platform for working with and controlling RFID devices. As middleware, RFID inFusion™ sits between the RFID Readers at edge of enterprise and business level applications such as Inventory, Enterprise Resource Planning (ERP), or third party systems. RFID inFusion™ manages and controls the RFID readers while conducting the flow of RFID data between the RFID device and business level systems. RFID inFusion™ supports all of the Invengo devices such as the XC-RF861, XC-RF850, XC-RF812, and XC-RF807 as well as many other manufacturer's devices such Impinj, Motorola, Alien, ThingMagic and now Intellifi. 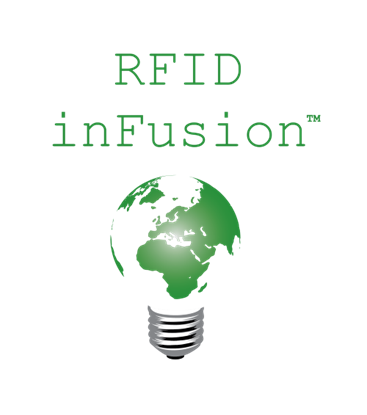 RFID inFusion™ includes a Software Development Kit (SDK) and a rich Component Model. The SDK allows external applications to communicate with and programmatically control the server while the Component Model allows third party developers to create application specific code to 'plug in' to the system. In addition, RFID inFusion™ includes several prebuilt packages which allows you to send data to remote systems or store in SQL Database. RFID inFusion™ features a proactive Device Monitor which automatically detects and notifies administrators if a device goes offline. The Device Monitor will detect when the device comes back online and automatically restarts the device actively reading tags. RFID inFusion™ was designed to be lightweight, fast and without dependencies on other applications. The only prerequisites are the Microsoft .NET Framework 4.6.2 or higher and a Windows Operating Systems. 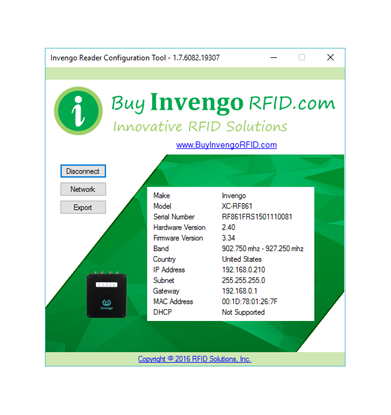 RFID inFusion™ enables users to easily get started with RFID technology using the Invengo RFID readers. It lowers the Total Cost of Ownership (TCO) by enabling the user to receive immediate benefits from their RFID investment.